The Monster Energy NASCAR Cup Series will crown its champion Sunday (Nov. 18) in the final race of the season. 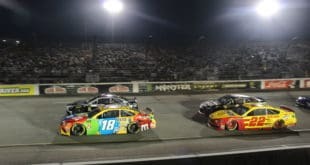 The Championship 4 will duke it out over 400 miles at the 1.5-mile oval of Homestead-Miami Speedway, site of the season finale since NASCAR’s postseason era began in 2004. The green flag flies for the Ford EcoBoost 400 at 3 p.m. ET. Also, with only 0.1 points awarded for each lap led by a driver, the need for a dominator is less important when building a winning lineup. The 267-lap race will only have a total of 26.7 points up for grabs in this category. Take note when building your roster and focus on mid-pack competitors who can climb up toward the front on race day. Be sure to check out www.canadasportsbetting.ca for all your gambling needs! In 17 starts at Homestead, Harvick has only finished outside the top 10 twice. He’s currently on a streak of four consecutive top-five performances in South Beach, starting with his win in 2014 that made him the series champion. Harvick has also led 46 or more laps in three of the last four races here. The veteran driver already set a career high in wins this season with eight. But he can also match a career high in top fives (23) and set a new mark in top 10s (29) with a good finish this weekend. 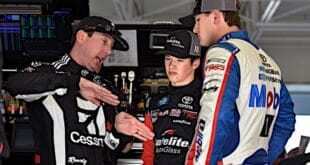 Don’t count him out, even though he’s missing crew chief Rodney Childers and car chief Cheddar Smith. He seems like a man on a mission. 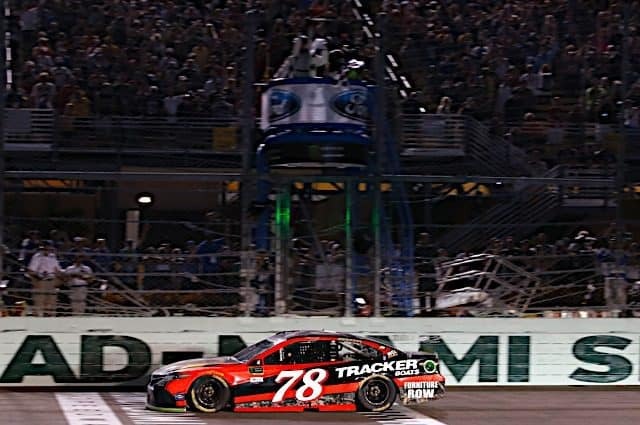 Truex clinched his first career Cup Series championship with a win at Homestead last season. He led 78 laps in a hard-fought battle with Kyle Busch. That victory was also his first in Miami, where he earned an average finish of 11.5 over 14 starts. Truex has not been as dominant in the latter part of the season, so the hype is not quite there… yet. But with the No. 78 team also shutting down after this race, expect Truex to drive with an extra chip on his shoulder this weekend. Busch ran out of laps in an effort to chase down Truex for the championship in this race last season. He was looking for his second title in three years. I don’t think he’ll waste another opportunity. Going into this week, and coming off a win at Phoenix, Busch is the championship favorite. He also has eight wins this season and has far surpassed career highs in top fives and top 10s, producing an impressive average finishing position of 8.4 on the season. 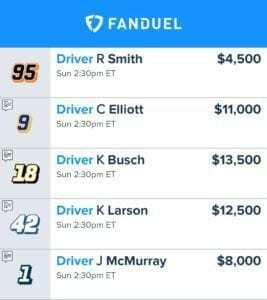 At a $1,000 discount from Harvick, Busch is the go-to at this point on FanDuel. Larson has become the master of Homestead-Miami Speedway the past few seasons. He has led over 130 laps in each of the past two races. After a tough 2018, he could very well play spoiler this weekend and also pick up his first win of the season. HMS fits Larson’s driving style unlike any other track on the schedule. He can ride the high line the entire length of the 1.5-mile facility. 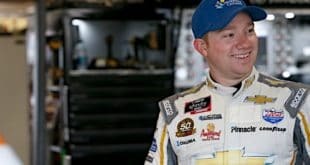 Pairing Larson with one of the Big Three could produce the winning formula this weekend on FanDuel. Make sure you have him on your list. The speed has been there for Hamlin at Homestead but the finishes have never panned out. Over the past three races, Hamlin has won the pole twice but has not finished better than ninth. In a winless year, a bounce back in Miami would be a huge momentum boost heading into the offseason. Hamlin will be a solid top-10 car, which may not be enough for his salary. If the speed is toward the top of the charts during practice, he could slide into the favorable range. Disaster struck last weekend at Phoenix when Elliott was caught up in a wreck. That ended any chance the young driver had of making this year’s Championship 4. But even though the No. 9 team is not a title contender, Elliott will still be a force to be reckoned with this weekend. Much like Larson, the third-year driver has figured out the uniquely-shaped track. He has finishes of 11th and fifth in his two career starts here. Dillon is coming off two straight top 10s and seems to be finding his groove just in time for the season to end. That makes him a mid-range driver to look out for this weekend. Dillon has an average finish of 15.5 through four career starts at Homestead, though he finished a career-best 11th here a season ago. If he is a top-10 driver again on Sunday, that will be a part of the winning lineup. McMurray may be making the final non-restrictor plate start of his career Sunday. Luckily for him, it’s at one of his better tracks. In the past four races in Miami, he has finished inside the top five twice. He also has an average finish of 9.0 over that span. Pairing him up with teammate Larson could also be a nice combo. At a lower salary than Dillon, McMurray is the better option, though both could be a sneaky pick this weekend. Tags Austin Dillon Chase Elliott Denny Hamlin Jamie McMurray Kevin Harvick Kyle Busch Kyle Larson Martin Truex Jr. Previous 2-Headed Monster: Should Kyle Busch Have Let Aric Almirola Win at Phoenix?